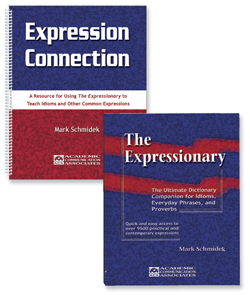 Receive both The Expressionary and The Expression Connection for $65.00. You save $10.00. By using both of these books you can create high interest activities for students with communication disorders, English Language Learners, and others with special needs.